Just occasionally an event becomes a living symbol of something that is happening. The Candlelit Vigil held in support of the residents of Botton was just such an occasion. Around 150 people braved strong winds on a Sunday evening when they would rather have been elsewere to attend a very special event. Part service, part witness - incorporating prayer, singing and silence. 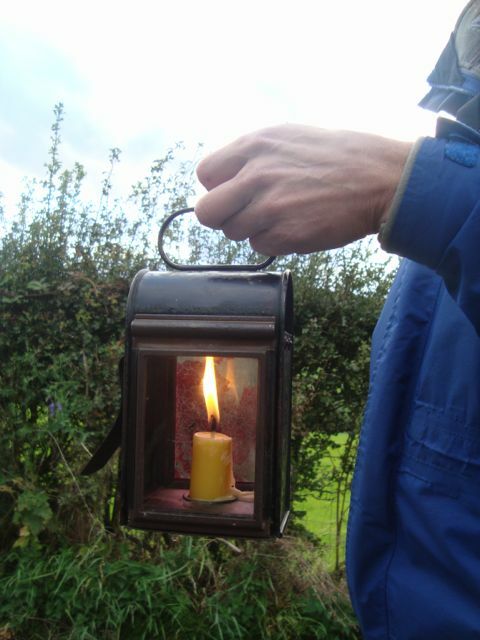 We walked carrying our candles from Danby Church - a strung out group of all ages and we stopped on the corner just outside Botton. We had asked to be allowed to hold the vigil on Botton’s Village green but that was refused with a threatening letter to the community which we as well as solicitors acting for villagers and, as it appears, also North Yorkshire County Council judged to be in breach of the Mental Capacity Act. The manager's letter amounted to an attempt to restrict the right of villagers both to be informed about the Vigil held in support of their community and to attend it without first undergoing a capacity assessment to be arranged by the manager himself. It is not clear why CVT felt so threatened by a peaceful group standing in silence but they clearly did not want the villagers to exercise their undoubted right to join in and let their voice be heard. What resulted was well attended by residents from Botton despite the threats and we all stood together whilst the wind bent the trees and lashed our lanterns. The fact that candles were constantly re-lit and that the group stood firm against the wind was a powerful parable of the punishing power being exerted to extinguish the light that Botton has been for 60 years and the way that the more pressure that is exerted the stronger and more supported Botton has become. I wanted to have a big banner saying "YOU WILL NOT LISTEN TO OUR VOICES - NOW HEAR OUR SILENCE" but the message from Botton was that the event should be quiet in every sense, locking into the power that silence brings. I am glad I went to the Vigil, I returned moved and strengthened. There is something there which will survive all the attempts to blow the Botton community off course and make it into commercial style service provider. The service that took place on Sunday 17th August was of a different measure, answering demands with quiet resolve and threats with silence. My sincere thanks to all who came to the gates of Botton and hope that they, like me, went home with new determination.